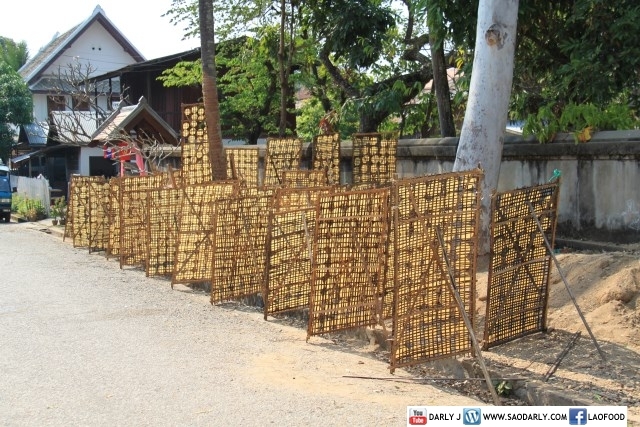 Walking around Luang Prabang is the best way to explore the town. 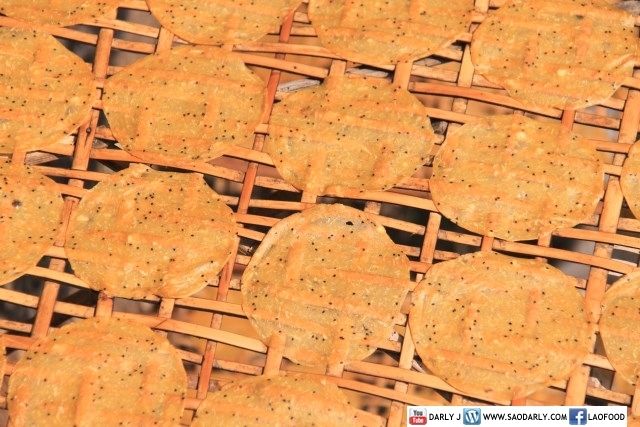 I would love to spend an entire month just walking and interacting with the local people. 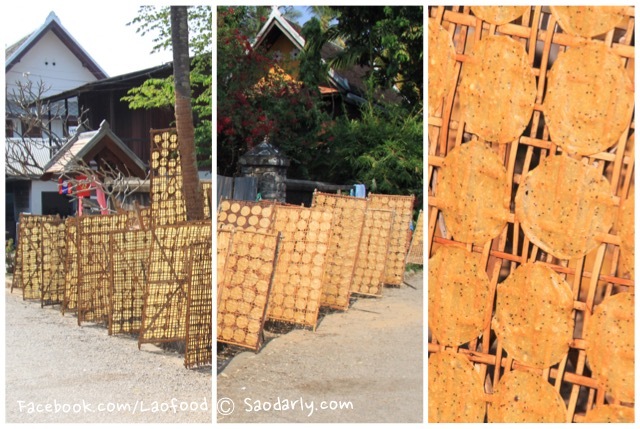 This road leading to Wat Xieng Thong is a welcoming sight to see with rows of cassava crackers (ເຂົ້າຂຽບມັນຕົ້ນ) drying in the sun. 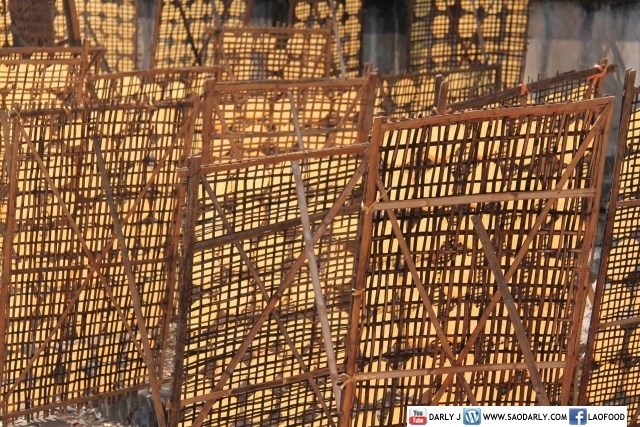 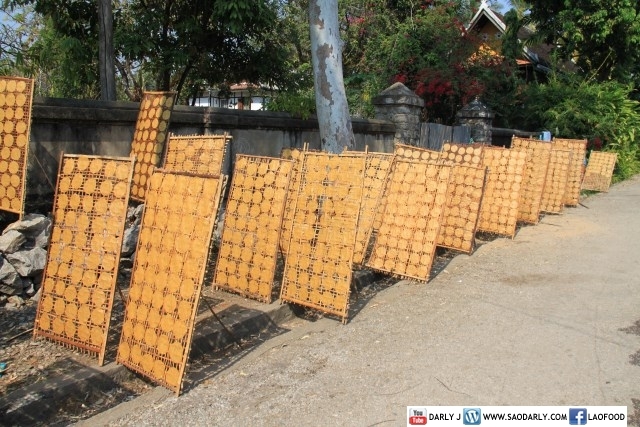 This particular spot is quite popular with tourists taking photos of the cassava crackers drying in the sun.